At times, it can seem like every decorating trend has already been played out. As years go by, you see trends fade in and out of popularity, and designers rack their brains for something with originality to come up and a new trend to take its place. Décor Aid’s interior designers suggest you branch out from what’s ‘trendy’ and begin trying new things with your interior design when you need a quick refresh. While you don’t need to reinvent the wheel, here are a few home decor ideas that you likely haven’t taken into consideration yet. One of our favorite ways to add a pop of color is to use wallpaper inside anything that has shelving, whether this be a bookcase, kitchen cabinets, or a built-in shelving unit, they all have the same striking impact. No matter the way you arrange your decor, shelving typically has a standard look to it that is the same across all pieces. However, adding this daring touch of drama to the mix changes things up significantly. It’s an unexpected addition of not only a new color, but a texture or pattern as well. 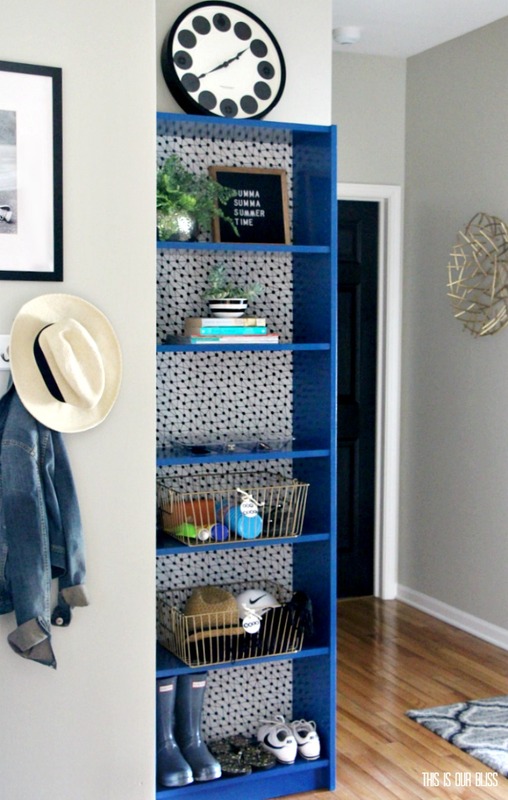 For a room that’s lacking that little something extra, look to a jovial print to use inside your shelving and see how it changes the entirety of your room. Typically, if you’re switching out hardware, you’re likely renovating the whole piece. 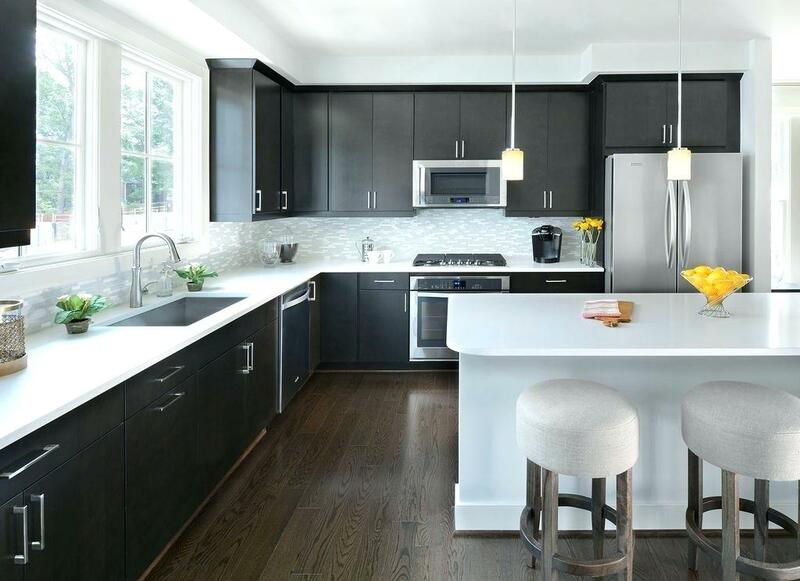 Cabinetry is usually replaced for a more modern appeal, complete with new handles or pulls. However, we challenge you to pick apart this renovation, and simply try switching out your hardware for a quick, and more cost effective upgrade. This can also be applied to dressers, end tables, nightstands, and any other furniture that features a handle or pull. Most cabinetry of this variety has a relatively neutral base, so the hardware can be what really differentiates it and defines the style. 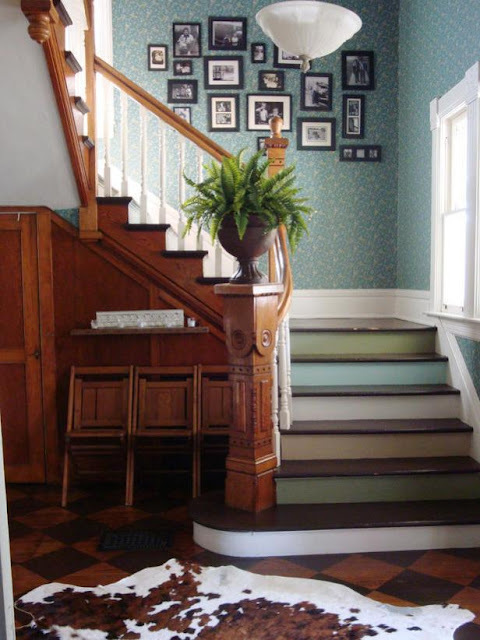 This is typically something homeowners only look to when they start to get dirty or faded, but repainting your stairs in a new shade can make worlds of difference. 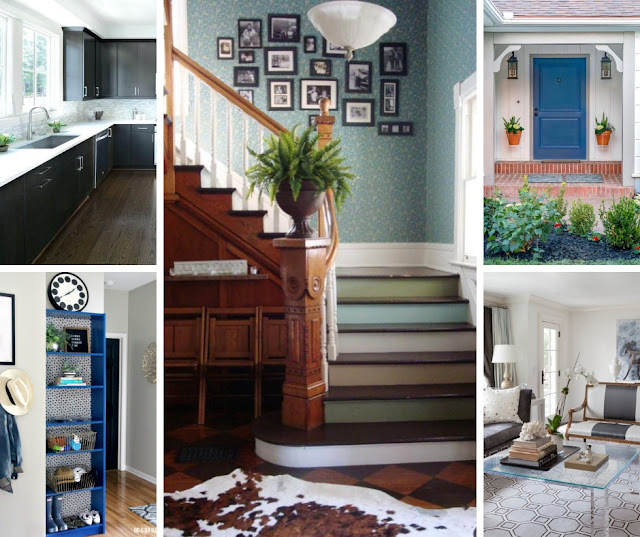 Similar to how wallpapering inside a bookcase can add a surprising pop of color, choosing a unique shade for the underside of your stairs can act in the same way. 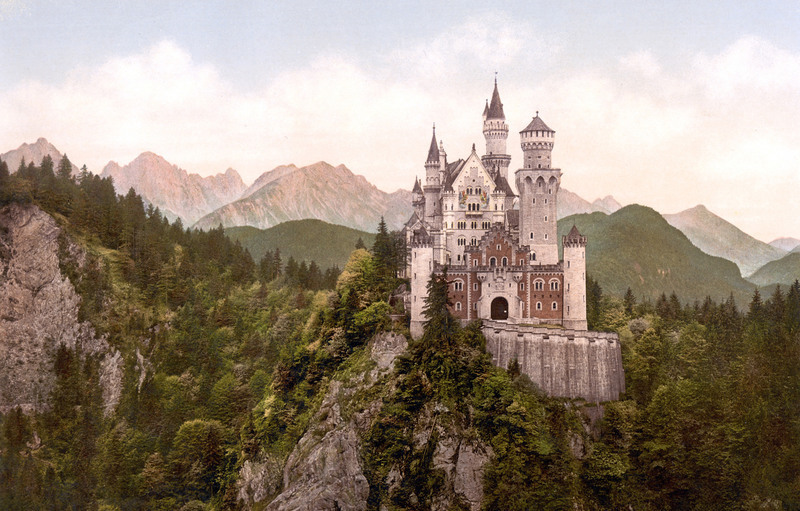 As you’re ascending a staircase, you’re likely not paying too much attention to the appearance of it. But with the addition of a complementary color to the front of the steps, you’re adding a new and unique pop of color that’s sure to delight anyone who climbs those stairs. Tight on space? Consider adding furniture made of clear materials instead of the traditional wood or metal. This means lucite, acrylic, and glass are all in play, so avoid writing these kinds of pieces off next time you’re sourcing furniture. This can be a great trick for those that don’t have as much space as they’d like, but still need the addition of a coffee table, end table, or other type of small furniture. Because of the ability to clearly see through them it won’t appear as though you lose as much space, because the eye doesn’t hit a wall when looking at it. Furthermore, a lucite, acrylic, or glass addition adds an elegant and upscale feel to what might be a simple or low brow piece of decor. Décor Aid designers here with another painting tip: start with your entrance. 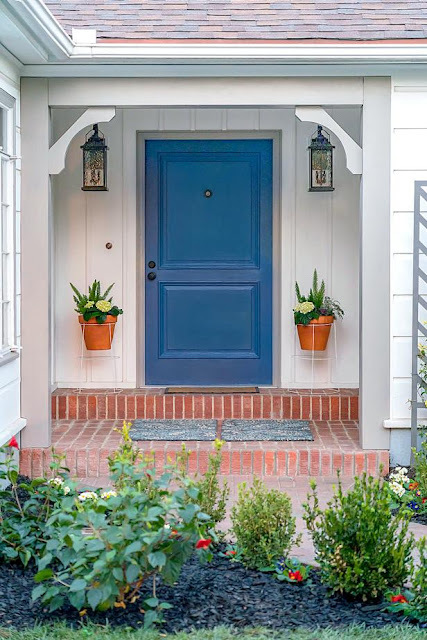 Most don’t even think to paint their front door, but doing this can actually set the perfect scene for the style of your home, and add a little bit of personality even from a distance. The exterior of a home is far less customizable than your interiors, so it can be difficult to express your personal style, especially when aiming to match the rest of the exterior. But take the opportunity to go with a slightly different shade than every other home on the block, perhaps looking to a dark teal, burgundy, or burnt orange shade to welcome in your guests.